The percentage of our clinical laboratory science students who pass the required national exam, compared with 70 percent nationally. The number of new health care workers needed per year now through 2018 to fill new jobs, according to the Wisconsin Center for Nursing. Assistant Professor Jodi Olmsted not only supports students in the classroom, but also on the ice as the adviser for the Curling Association of UW-Stevens Point. The School of Health Care Professions at the University of Wisconsin-Stevens Point strives to give students interested in health-related careers hands-on training to nurture workplace success. We challenge students through majors such as clinical laboratory science, health science and pre-nursing. Join us to build in-demand skills for a rewarding industry dedicated to helping and healing. A degree in athletic training prepares you to prevent, evaluate, treat, and rehabilitate injuries and illnesses related to physical activity. At UW-Stevens Point, you'll be part of the first comprehensive athletic training major in the state and benefit from a cutting-edge learning environment in our Sports Medicine Center. You'll benefit from small class sizes, active academic advising, engaged faculty, superb laboratory facilities and top-notch practicum experiences. histotechnology, which studies bodily organs and tissues. Health science at UW-Stevens Point connects human elements with scientific processes. Our program gives you the skills to work in a rapidly evolving field, incorporating new technologies with innovative problem-solving techniques to help people get healthy. The pre-nursing program provides prerequisite courses for admission to schools of nursing, including those at other University of Wisconsin System schools, private universities and technical colleges. The Bachelor of Science in Nursing completion program is designed for associate degree or diploma registered nurses (RNs). 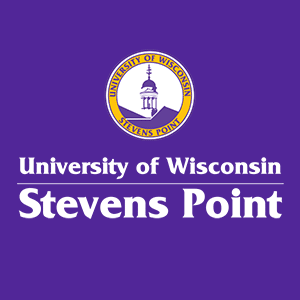 Students complete requirements for the BSN through UW-Stevens Point, the sixth partner in the BSN@Home University of Wisconsin System nursing collaborative.